Thinking about it, i dont draw too many Zombies, so..heres some Zombies. Just pure Zombies. Partially on fire. Glad to see some Mumbies! cant stop loving your work! brilliant! im at a loss for adjectives to describe how awesome this piece is! thanks guys! 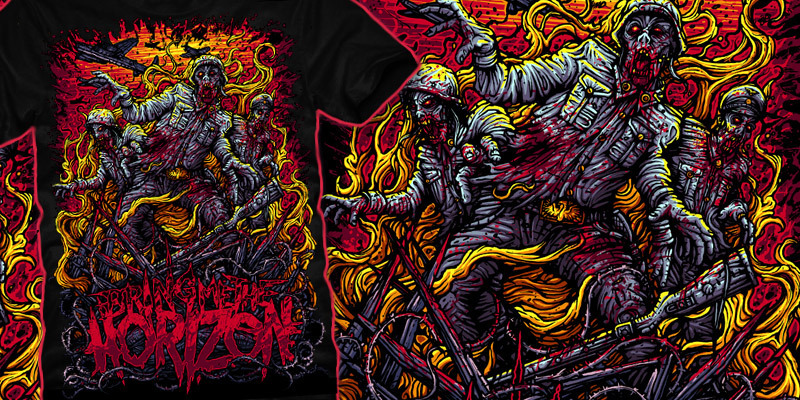 been a while since i posted, i thought zombies, flames, blood, war....i should post this on emptees. danmumford said: thanks guys! been a while since i posted, i thought zombies, flames, blood, war....i should post this on emptees. You should post everything on emptees! Setting the standard. chadmanzo said: brilliant! im at a loss for adjectives to describe how awesome this piece is! and nazi zombies, this is great! bazzier said: you're still my hero!!!! LaFlamme said: Glad to see some Mumbies! thanks everyone, was in Berlin when this got TOTD. no. redundant = gets boring after the 77th time i see soldiers, fire, zombies, guns, all done by the same artist, in the same style with colors relatively similar to most of the pieces composed of the same elements. im not hating, and i don't even think i need to further justify my opinion here but i seriously don't think this deserves as many loves as it has. but it is a popularity contest to a degree, after all. Your points are valid, but i still dont enjoy being called redundant. I would argue this is the first time i have ever done such a piece with these colours or zombie soldiers, for you redundant, for me not so much..but then i dont think that was the point you were trying to make. Either way, i agree it is a very cliched image, and for these reasons i nearly didnt upload this, but then i havent uploaded anything in a while. danmumford said: thanks everyone, was in Berlin when this got TOTD. You may have a point, but dude, the execution of the linework is just amazing. It's true that sometimes it may get boring to see zombies all the time, but if it's done this way, I don't mind seeing zombies the rest of my life. Dan, where can I buy this?